I successfully completed this year’s Runrio / Run United Trilogy. I have put off regular running participations but made sure I bookend this particular event. I finished it in under 2 hours – barely so, I think I clocked in 1 hour and 58 minutes – and I have to admit, it’s mostly walking, not running. Last November 13, we were stuck in Buendia around 5:00 a.m. because the 32K and 21K categories started already. We got to the starting line almost 9 minutes after the gun start for 10K. The first 5K was still an effort to do 5-2 Galloway until I hit the turning point near Pedro Gil-Roxas. From there, it’s walking and more walking, running only on the very last turn where you can already see the finish line. I took the finisher’s kit, took a picture, ate, and promptly left. I cannot say that I completely lost interest in running because I didn’t. Maybe I wasn’t as committed to it and the hype has worn itself out on me. For one, races can be very expensive. Second, frankly, the appeal to wake up at an ungodly hour to tire yourself out isn’t as appealing to me anymore. 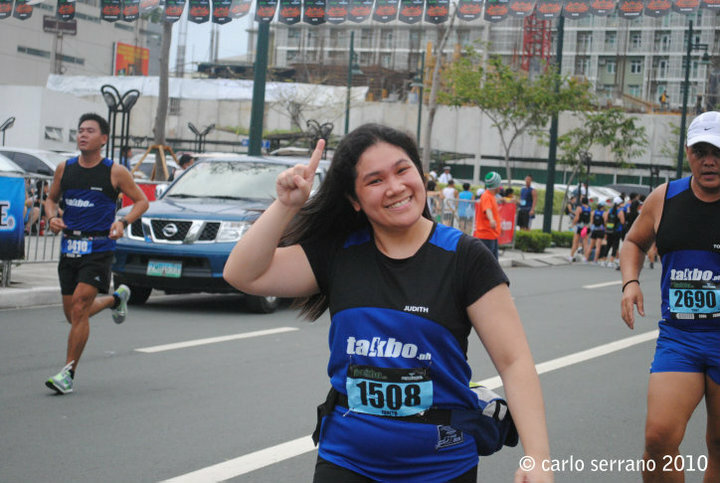 I once told myself, if I want to run 10 kilometers, I could and I would; just on my own time, at my own pace. I totally understand how obsessive this activity can be and long ago, it bit me hard, too. Kudos to those who feel extremely happy running and participating in organized runs. I really think highly of this group of committed people. Anyway, I wasn’t done yet with running this year. I registered for the Corregidor International Half-Marathon this December 10. But no, I’m so not joining 21K. I joined the 10K side event. It’s my most expensive run so far and it did hurt my purse as it’s P2,750. Yeah, I know. But it’s in Corregidor and it already includes the ferry fare to and from the island plus the recommended carbo-loading dinner the night before the race. There’s added cost for other race amenities but I won’t bore you with the details – just visit the site. I’m interested in this event because it’s in Corregidor and save for a surprise team-building event in September, I thought it would be my first time there. I’d be glad to come back over and over though. There’s something about old, rundown, history-filled places that fascinates me. I may have slowed down this year but one thing’s still sure: running will have a soft place in my heart. I will just do it in ways more suitable for my lifestyle. And age.